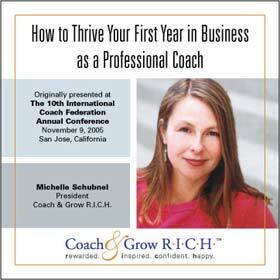 FSTS Bonus Gifts - Coach & Grow R.I.C.H. Discover the four proven “Keys to Success” so that you can earn a great living and live a great life as a successful coach. 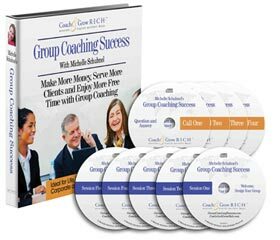 Whether you’re thinking about launching a coaching business, or you’ve already made the leap, this training teaches you what you need to know and do to build a thriving, rewarding and profitable coaching business. The difference between constant marketing and targeted marketing. How giving value is the best way to sell. The “magic question” that can be used to overcome any sales objection. The 4 “Keys to Success” necessary for building a thriving, rewarding and profitable coaching business. How to attract your ideal clients by choosing a specific target market and niche. How to generate more referrals. This “Done-For-You” Client-Attraction Teleseminar Package Gives You EVERYTHING You Need to Offer and Deliver a High-Value “Best Year Ever” Teleseminar Proven to Attract Clients! Attend this private, non-enrollment session and work with your coach to implement what you will learn from Christian’s program along with all the bonuses you receive in the “Get More Clients” Bonus Package. Take The Coach Biz Quiz! Are you ever overwhelmed or unclear on the steps to attract and enroll ideal, high-paying coaching clients? In less than 5 minutes you’ll discover where you are on track and what areas really need your attention. Take the Coach Biz Quiz Now! Takeaway #3 From The 2019 “Traffic & Conversion” Marketing Conference -> Are You FASCINATING? © 2002 - Current, Coach & Grow R.I.C.H.